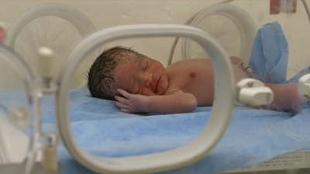 WIKIMEDIA, USAIDLast year, the US government’s Office of Human Research Protections (OHRP) conducted an independent investigation of alleged ethical lapses in a clinical trial that tested the effects of administering either high or low levels of oxygen to preterm infants. But it turns out that investigation wasn’t so independent after all, according to federal watchdog group Public Citizen. 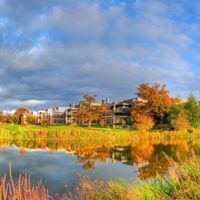 On Tuesday (May 20) the group released e-mails between officials at the National Institutes of Health (NIH) and those at OHRP conducting the ethical investigation of the $20 million, 23-hospital SUPPORT study. Public Citizen, along with members of Congress, is calling for an investigation of top brass at the Department of Health and Human Services (HHS), which administers the NIH, over the alleged interference. “This interference involved NIH officials reviewing and editing a series of drafts of a pending OHRP compliance oversight determination letter regarding the SUPPORT study, as well as apparently allowing NIH to influence the timing of the release of that letter,” wrote Public Citizen to the HHS Inspector General in a letter that was cosigned by a number of academic researchers. The SUPPORT trial ran from 2005 to 2009 and recruited more than 1,300 extremely premature babies, treating them with either low or high concentrations of oxygen (O2)—levels that were all within then-accepted standards of care. Researchers published the results of the study in a 2010 issue of The New England Journal of Medicine (NEJM). Those findings indicated that infants who were administered low levels of oxygen were morelikely to die, but also that high levels of oxygen could lead to blindness. The OHRP wrote a March 2013 letter to officials at the University of Alabama, Birmingham (UAB), where the trial was centered, expressing concern that informed consent forms provided to parents enrolling their children in the SUPPORT study were inadequate to warn them of the potential dangers of the experimental O2 treatments. That letter recommended sanctioning the researchers involved in the trial. But that June, the OHRP changed its tune. 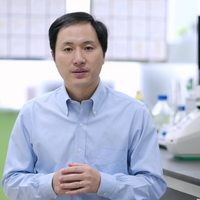 It suspended its call to sanction the scientists for failing to fully communicate the risks involved to the subjects’ parents in a second letter to UAB officials. Almost simultaneously, NIH Director Francis Collins and other agency officials published a commentary in NEJM defending the SUPPORT trial. Public Citizen is claiming that officials at the NIH, including Collins, improperly influenced the OHRP’s decision to back off on its criticism of the SUPPORT trial. The emails and other documents they obtained detail revisions to the second letter suggested by NIH officials and a plan to coordinate the release of that letter with the NEJM commentary. 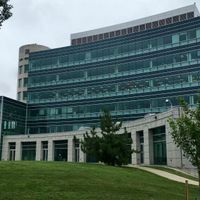 “OHRP regularly works with entities such as NIH, IRBs [institutional review boards] and others to ensure the protection of human subjects in research,” an HHS representative told ScienceInsider regarding the allegations of NIH interference. Correction (May 22): The original version of this article incorrectly stated that infants administered low levels of oxygen in the SUPPORT trial were less likely to die. In fact, researchers found that they were more likely to die. This mistake has been corrected, and The Scientist regrets the error.